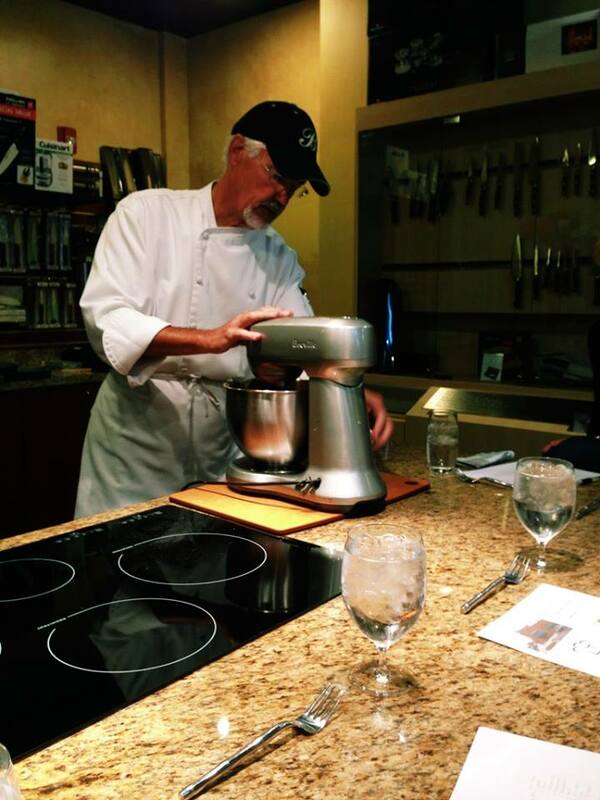 This past Saturday we attended our first baking class where we learned how to make the perfect Carrot Cake from Chef Bill Bigham. We took his egg class at Le Cookery (located in Blakeney Village) and were quite impressed, so it was high time we attended another class. 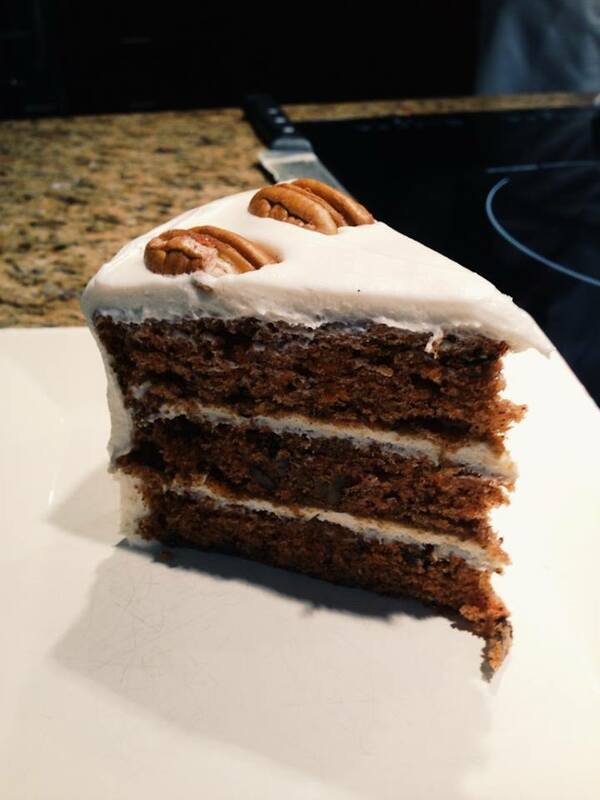 As the title of the post suggests, the topic was Carrot Cake… Before we get started, here are a few interesting facts you may or may not know. If you don’t have three pans (when making carrot cake) use two and cut one layer in half. If you want a crumbly cake, use cake flour, but for carrot cake you want it to be denser… this is why you use all purpose flour. Always sift your flour this will help aerate it. Always add wet to dry, not dry to wet. It you do this wrong you will get a very lumpy cake. 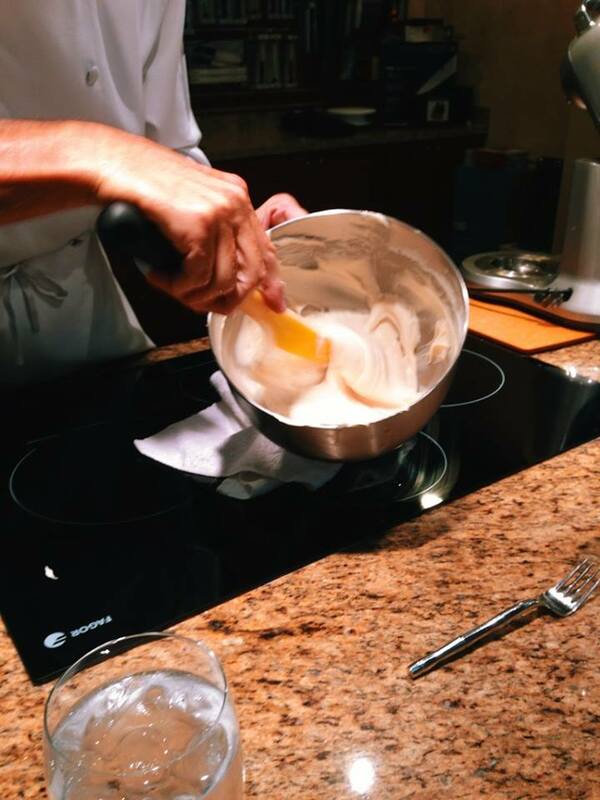 Make sure one ingredient has been fully incorporated before you add the next ingredients. 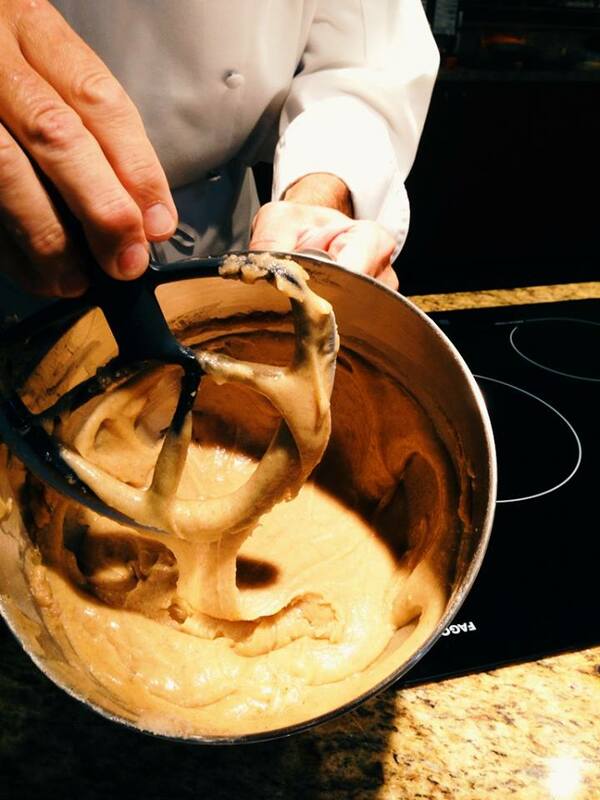 Add your batter to the pans. 2 (8oz packages) of cream cheese, room temperature. 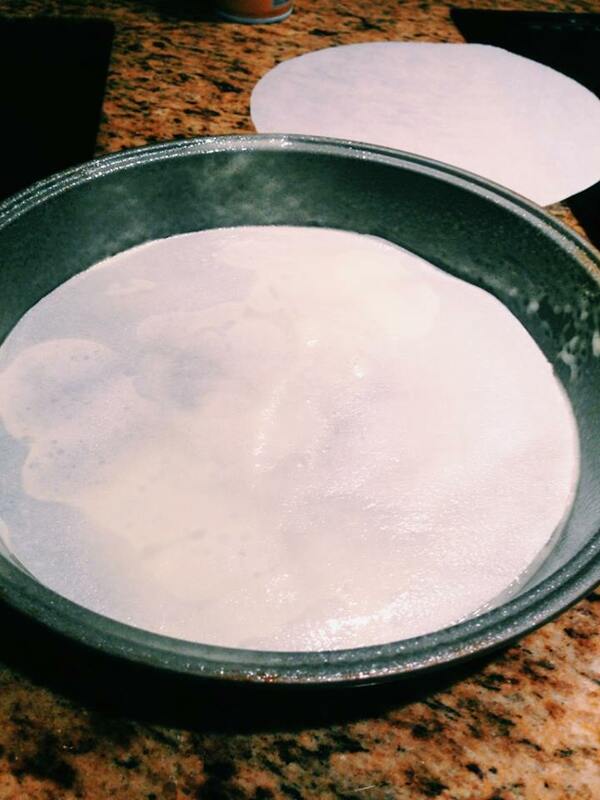 Remove from pans and place on waxed paper and allow to cool completely before frosting. Add all ingredients, except nuts, into medium bowl and beat until fluffy using a mixer. Spread in frosting on top of each cake layer. Stack the cakes on a serving plate and serve. 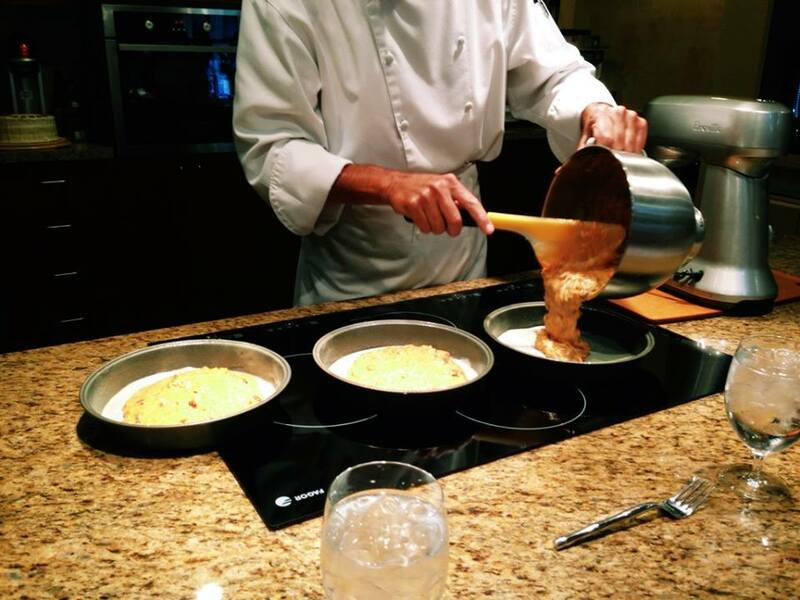 Interested in having Chef Bill Bigham come to your home to cook a meal? Well, here is a link to his website. 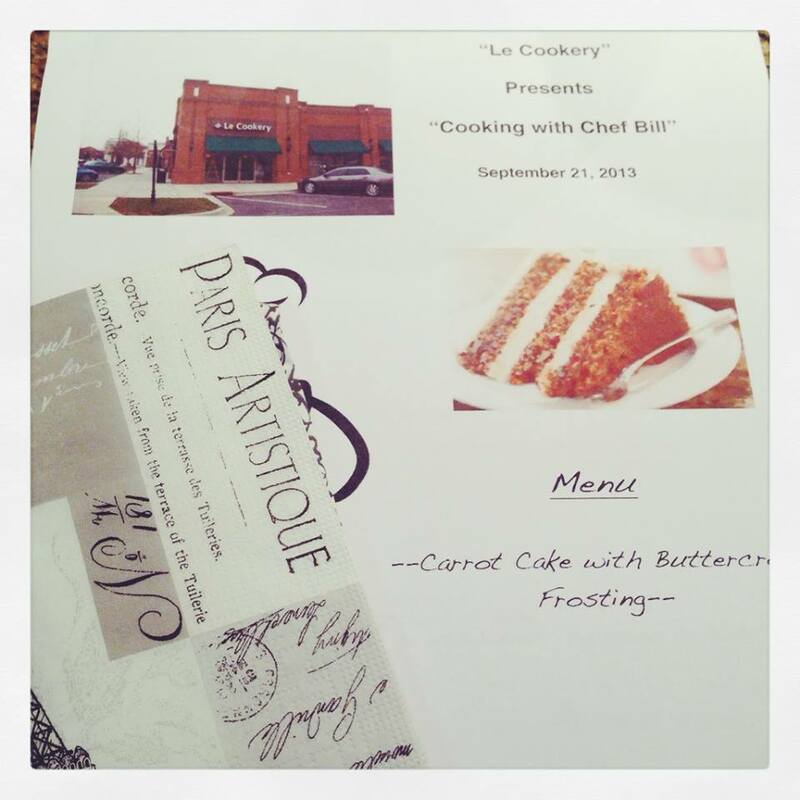 Or perhaps you’d like to take a class at Le Cookery, well here’s another link for you.